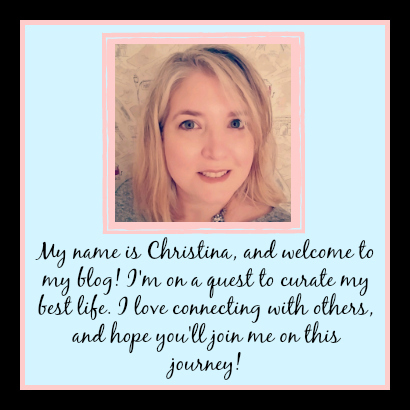 Sorry it has been a little quiet over here on the blog. I have been reading, taking photos for Instagram, and tweeting my little ole heart out...but just haven't had a lot of time to sit at the computer and actually compose a good review. My girl (otherwise known as Thing 2, or the one who decided to attend the Naval Academy) has been home for a few days in the lead up to her 2nd year of college...which means I've been following her around like a little lost puppy and hugging her bunches. It's a thing. Anyway, she'll be leaving tomorrow and then I should have time to catch up on my reviews...and all of the inspired blog things I think of when I can't fall asleep at night! Today I am incredibly happy to be a part of my very first Blog Tour for a book that Netgalley and Sourcebooks sent my way, which releases on August 22nd! Since my name is on a pretty flyer floating around the interwebs, I'll try my best to do a good and properly respectable review fit for mass consumption. 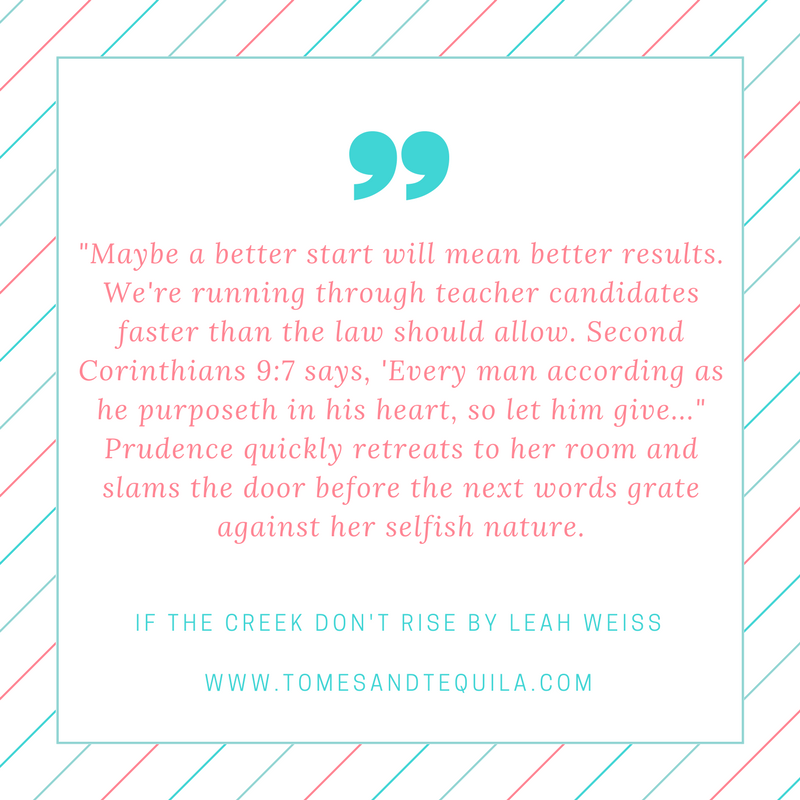 If The Creek Don't Rise by Leah Weiss caught my eye when I went on a search for more Southern Fiction to fill an intense craving I feel deep down in my soul on a routine basis. The craving to hear the word y'all thrown into a sentence without irony. The need for women sitting around a table drinking sweet tea and gossiping over some semblance of comfort food. The deep urge for a setting where everyone in the town knows everyone else, and the words Bless Your Heart aren't necessarily a good thing. 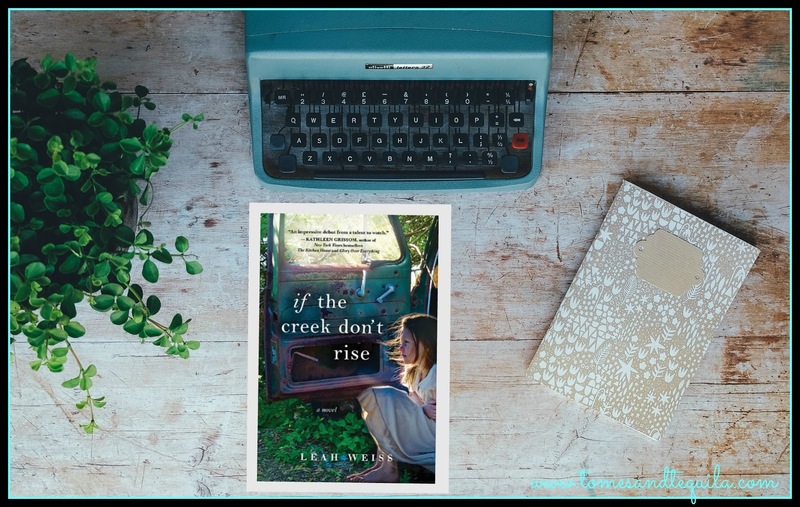 If the Creek Don't Rise is what happens when I'm in that kind-of mood...and I've just finished The Glass Castle. It's Southern Fiction...but not of the Ya-Ya Variety. It's more along the lines of Opal. Sadie Blue is seventeen, pregnant, and newly married to Roy Tupkin. She's only been married for a few days, and he's already beaten her more than once. Her hero is Loretta Lynn...who managed to make something of herself despite growing up in a hard Appalachian holler just like Sadie. But what can she do except live with the hand she's been dealt? Pastor Eli Perkins longs to help his congregation rise up from the squalor they've been born into. He lives a simple life with his perpetually nasty sister Prudence, and gets his yearly dose of intellect and vitality from the annual conference he attends in "the valley". But things might just change now that the new teacher he advertised for has turned out to be an unconventional woman whose mind rivals his own. Kate Shaw is a teacher the likes of which Baines Creek has never seen. At 6'2", wearing trousers and a short men's haircut, she turns the town upside down without even trying. But this community opens up something in Kate that she thought she would never get back...a passion for life and teaching that she thought was long gone. But is that enough to keep her there, with dead animals arriving on her door and a posse of angry women breaking into her home in the hopes of shaming her over their fears of her possible immoral behavior? I thought this book was great. It is marketed as a tale about Sadie, but in reality she bookends a story about Baines Creek and life in incredibly rural Appalachia. It is a novel about a town of secrets, and various stories. Most chapters are told from the viewpoint of a different character in the cast that is Baines Creek, with memories and remembrances that initially make it very hard to decipher what time the book is set in. When you finally hear a concrete date, it is very shocking...or at least it was to me. And it went a long way towards truly reinforcing just how money poor this area of the United States was (and some might say, still is). 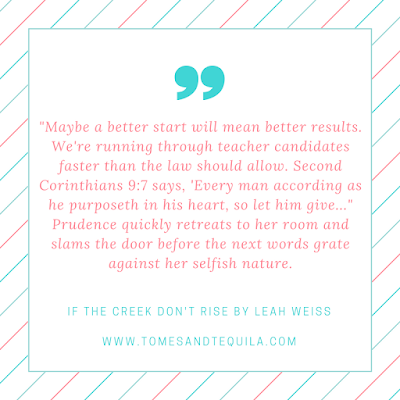 For this being Leah Weiss's debut novel, I have to say what stood out most to me was her ability to write characters that are truly unlikable...especially Prudence's chapter. It really blew me out of the water! It can be very difficult to write a great baddie, but I was actually grinning from ear to ear reading that entire section. I had to explain to the kids why I was smiling like a goober!! To me it was just THAT good. So, if you are a fan of good quality southern fiction, ensemble books with numerous viewpoints, books where the town is the main character, or books where the last sentence has you yelling "OH MY GOSH, I can't BELIEVE she ended it like THAT!?!? How DARE she!?!?! ", put this book on your TBR list. And read it while drinking some apple pie moonshine...because why not? 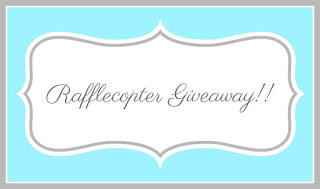 Click On The Rafflecopter Picture for a chance to enter!! And if you have read this review, and decided you MUST buy this wonderful book, you can pre-order from Amazon, Barnes and Noble, Book Depository or Indiebound by clicking on those business names! Let me know if you're a fan of Southern Fiction also, and if so what your favorite book set in the south is...I'd love to know. Comment here or over on my Facebook Page! (*No purchase necessary to enter or win. A purchase does not improve your chances of winning. VOID WHERE PROHIBITED BY LAW.